September 26, 2013 By This post may contain affiliate links. 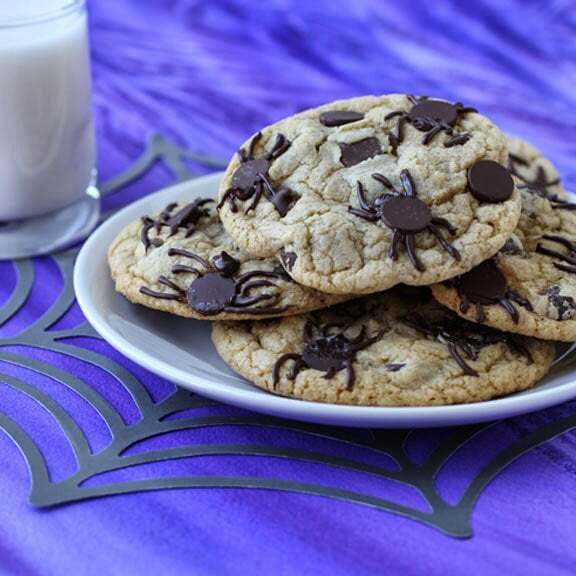 This Halloween leave these gruesome Spider Infested Chocolate Chip Cookies for your guests to find. No one can resist these homemade festive treats, but trust me they will freak out every time. 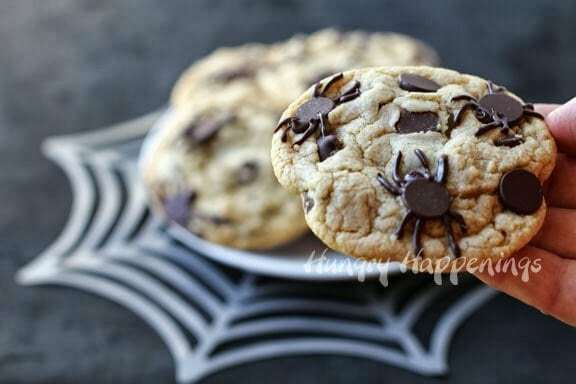 Spiders have infested my chocolate chip cookies. Gross, right? Why would I do this to a perfectly innocent, thick and chewy cookie? 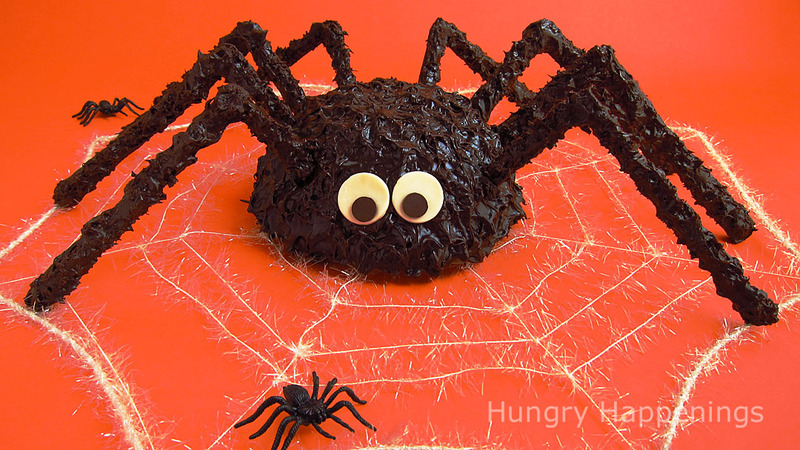 Well, the other day I came across a picture of a cookie that had images of spiders superimposed on it. 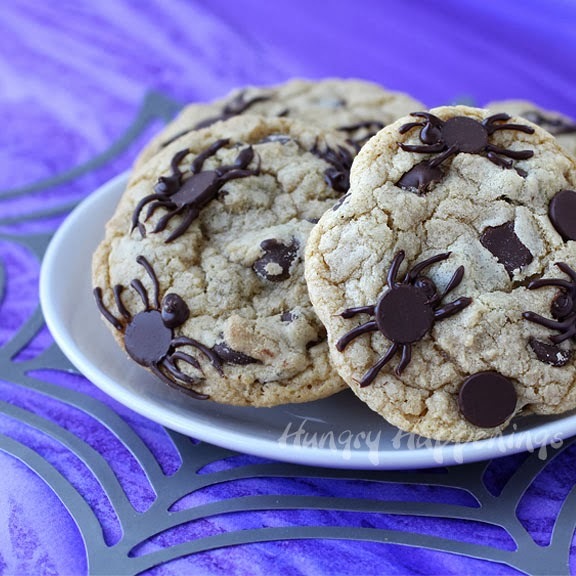 It really looked like the spiders were in the cookie. 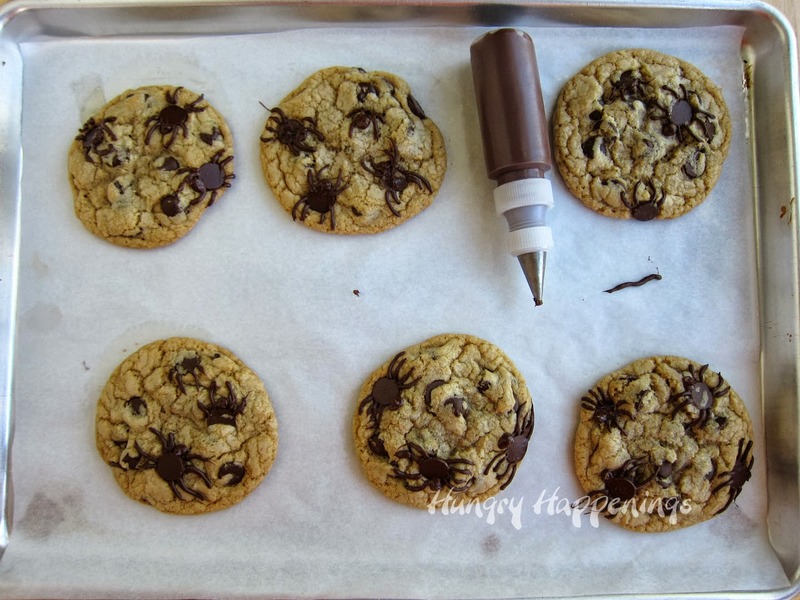 It was just a bit of Photoshop magic, but I knew baking up a batch of chocolate chip arachnids would be as easy as waving a wizard’s wand. 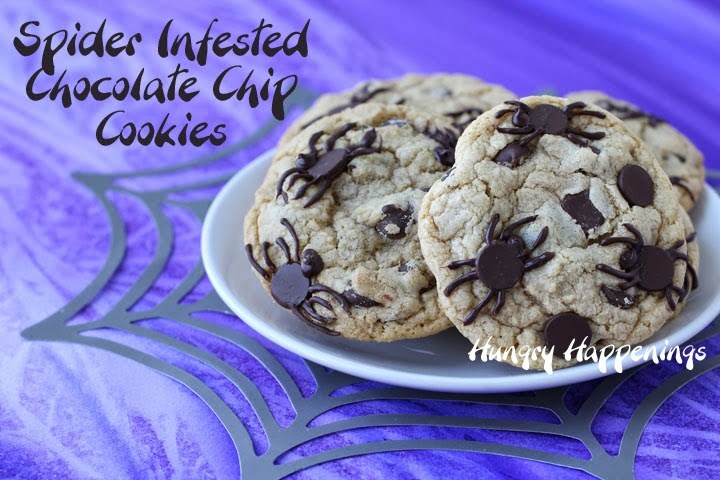 I figured if I was going to infest any cookies with spiders, I would use my absolute favorite recipe from Cook’s Illustrated. It makes the biggest, thickest, chewiest cookies bursting with caramel and chocolate flavors. 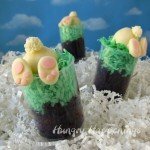 My husband would love for me to make these every week and he was so happy to smell the fresh baked cookies when he got home from work. He asked if he could have one. He always asks first. He knows better than to eat something before a photo shoot. I gave him permission and waited to see his reaction. He lifted the tin foil off the plate of cookies. He jumped a little. Of course, he tried to be cool about it and jumped even further just for effect, laughing as he imitated my reaction to being surprised by a spider. Yes, I scream, every time. A few years ago, surrounded by big furry stuffed spiders, a group of party guests were playing a game in our basement. Someone mentioned how lifelike our Halloween decorations had become. I turned to look at what he was pointing to and a live spider was dangling from a web right behind me. I let out a blood curdling scream. It was to everyone in the room. I stood, red faced, heart racing, palms sweating, as everyone watched. After all the years of having the creepiest Halloween decor on the block, I still haven’t been able to concur my fear of the 8 legged creatures lurking in my basement. Thankfully my phobia hasn’t kept me from eating these cookies. Melt butter in a mixing bowl. Allow it to cool slightly. Add brown sugar and granulated sugar and beat on medium speed for about a minute until well blended. Add egg, egg yolk, and vanilla and beat until fully incorporated. Mix flour, salt, and baking soda together then incorporate it into the wet ingredients. Fold about 9 ounces (1 1/2 cups) of chips into the batter. Scoop out 18 cookies, about 1/4 cup of dough for each. Place some of the reserved chocolate chips on top of each cookie. Remember to keep about 2 ounces (1/3 cup) of the chips for the spiders. Bake cookies one tray at a time, for 14-18 minutes. Place the remaining 2 ounces of chocolate chips in a small microwave safe bowl. Heat for 20 seconds, stir, then for 15 seconds, stir. Allow the chocolate to sit for 1 minute, then stir again. If you need to, heat it for 10 more seconds, then repeat until melted. Pour into a squeeze-it mold painter bottle fitted with a #2 round pastry tip, or a disposable pastry bag or zip top bag with the tip snipped off. 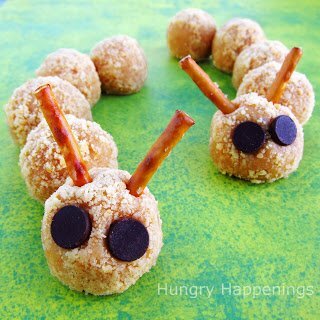 Pipe on spider heads and legs around some of the larger chocolate chips. Melt butter in a mixing bowl. Allow it to cool slightly. Add brown sugar and granulated sugar and beat on medium speed for about a minute until well blended. Add egg, egg yolk, and vanilla and beat until fully incorporated. Mix flour, salt, and baking soda together then incorporate it into the wet ingredients. If using a hand held mixer, it probably wont be strong enough to mix this completely, so switch over to a spoon or spatula. Scoop out 18 cookies, about 1/4 cup of dough for each. I used a #16 ice cream scoop. 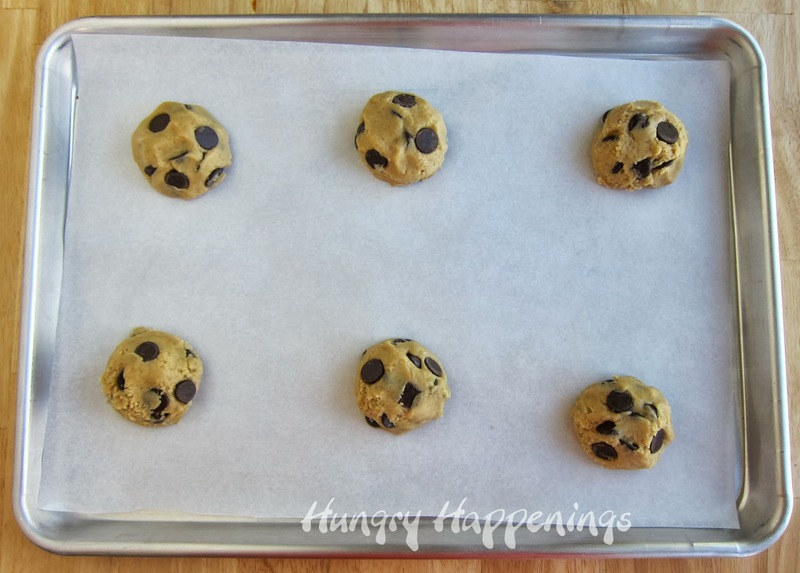 Place cookies on a parchment paper lined baking sheet with plenty of room to spread. 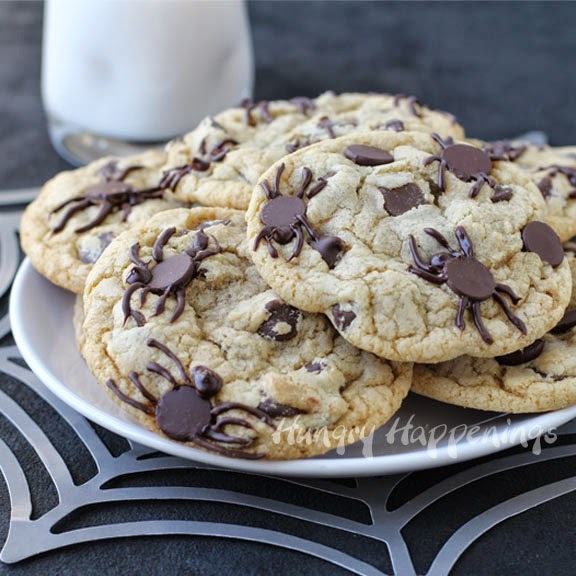 Place some of the reserved chocolate chips on top of each cookie just to be sure you have chips with which you can make your spiders. Bake cookies one tray at a time, for 14-18 minutes. The cookies should begin to set around the edges, be light golden brown, yet still be soft in the center. Place the remaining 2 ounces of chocolate chips in a small microwave safe bowl. Heat for 20 seconds, stir, then for 15 seconds, stir. Allow the chocolate to sit for 1 minute, then stir again. If you need to, heat it for 10 more seconds, then repeat until melted. Pour into a squeeze-it mold painter bottle fitted with a #2 round pastry tip, or a disposable pastry bag or zip top bag with the tip snipped off. 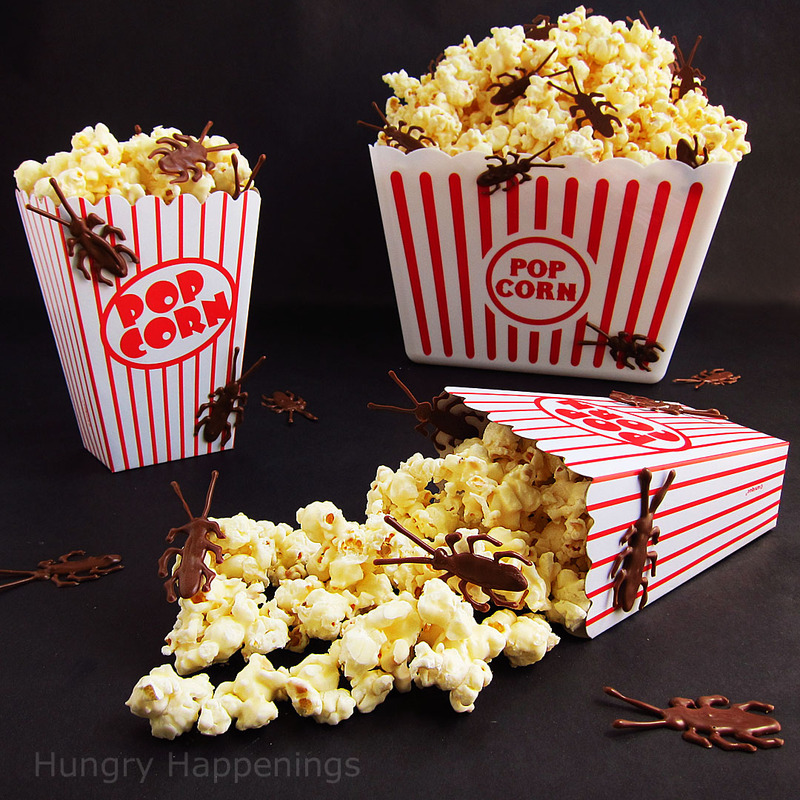 Pipe on spider heads and legs around some of the larger chocolate chips. Allow to dry. 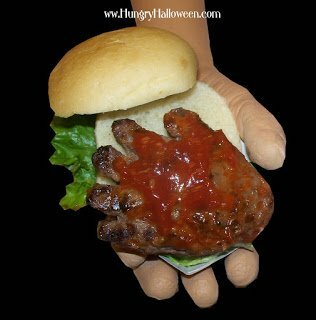 Serve with a glass of milk. 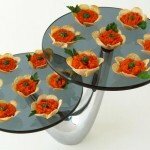 Keep stored in an airtight container for up to 3 days. 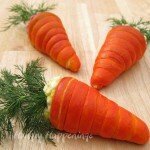 These can be frozen for up to a few months, but should be thawed in the refrigerator overnight, before being exposed to room temperature air. 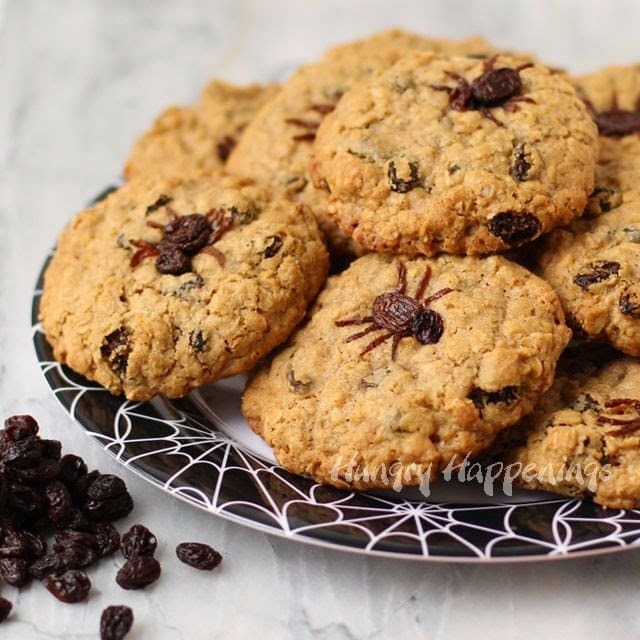 If you prefer oatmeal raisin cookies over chocolate chip cookies, check out my tutorial to add raisin spiders to your cookies. 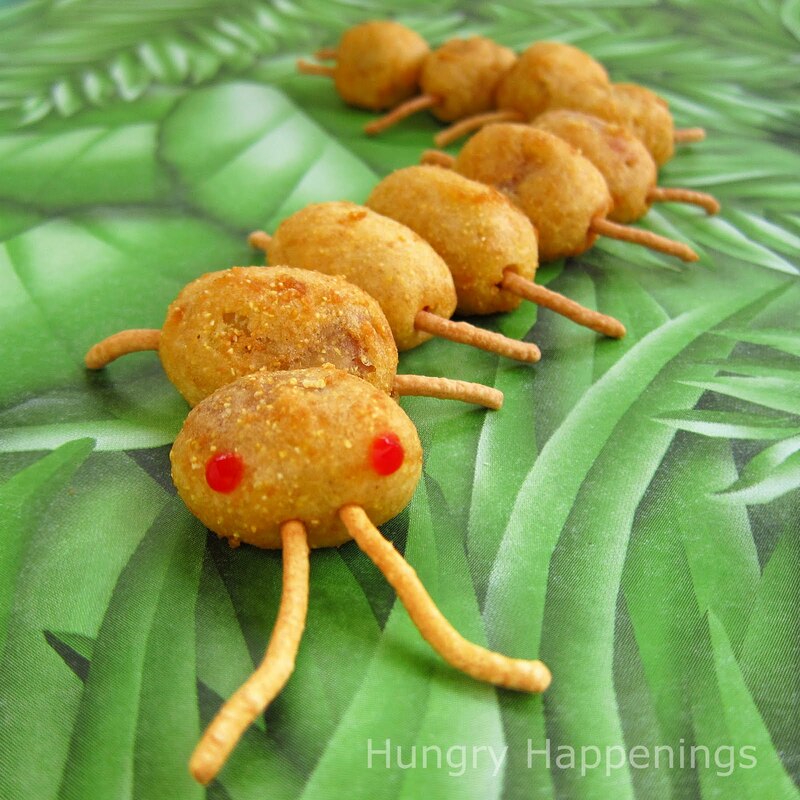 That looks so cute I am gonna try it. 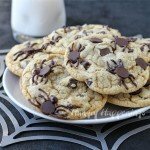 U could make the chocolate chip cookies with pre-made Schwan’s cookies. 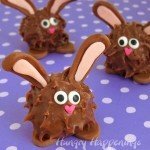 Yes, you can definitely make these using store bought cookies! It will be easy and fun. 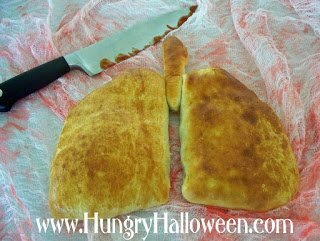 Your Halloween ideas are always my favorite!! 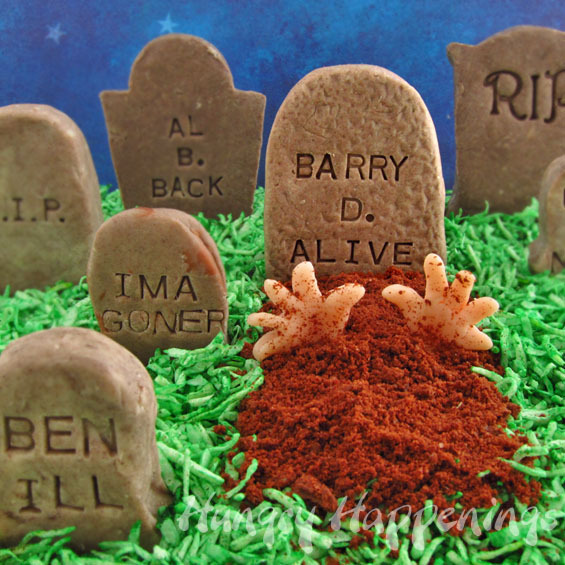 I love that these creepy cookies take little effort, but still have a big gross factor. Thanks!!! That's so nice to hear. 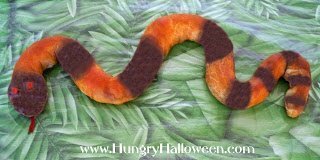 Halloween is definitely my favorite time of year to make edible crafts and it's the only time I can make something a bit gross! 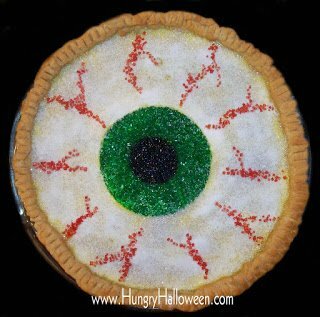 Thanks:) It's the only way to eat a chocolate chip cookie, at Halloween! 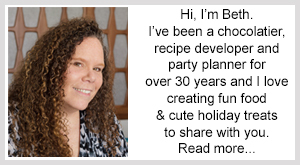 You are sooo creative, Beth! Simple but oh-so cute. 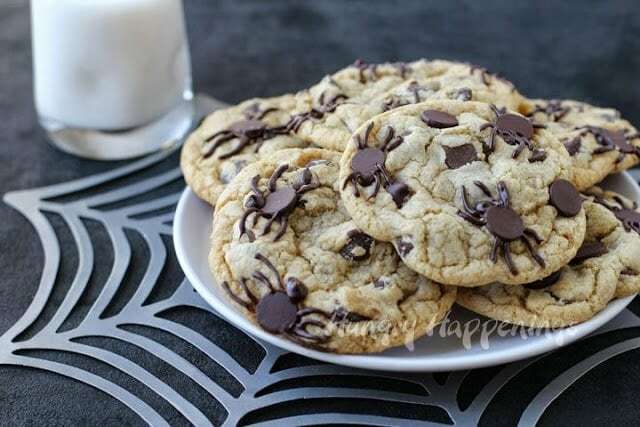 Definitely making these, this is the perfect excuse for a freshly baked chocolate chip cookie. Thanks for sharing! I totally agree. 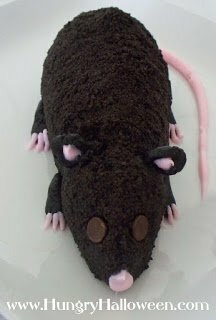 I just might have to bake some more soon. Ours are almost gone! GENIUS!!! A little creepy, but not too much 😉 They made me giggle! I love to make you giggle! These are so cool! I love how just a simple touch makes these festive! LOVE THESE! I can see myself making these, up my alley in the way of baking 🙂 Your food is always amazing. Thanks for continuing to create & share. Thanks:) These cookies were really fun to make. 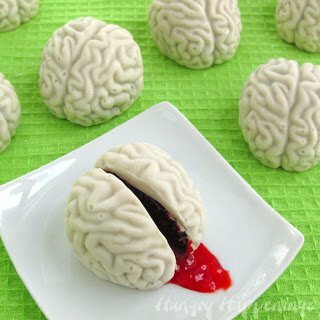 I hope you try them for Halloween. Thank you, Aimee. If you do make them, be sure to snap some pictures and send them to me so I can share in my Readers' Gallery! These cookies are the best! 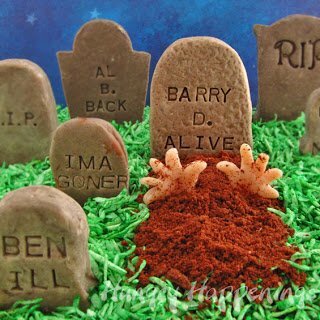 I will be making these cookies. The kids are going to love them. Thank you, Jennifer. I'd love to see pictures if you do make the cookies. Oh, you will have so much fun with the impression letters. They are so much fun to use. These cookies are just so FUN, I LOVE them! 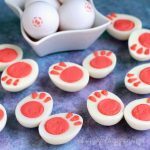 When I first saw these (unbelievably) cute cookies..i knew I would have to make them for my grandbabies. 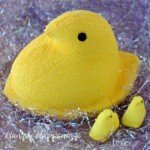 But when I read through your post, I realized how much more fun it would be to present them like you did..just pop the lid off and wait for the screeches! I love these! The element of surprise definitely made for some good Halloween fun. I'd love to hear how your grandkids react. These are fabulous. Love 'em. 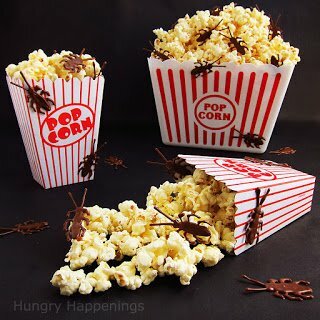 Simple, cute, funny… just great idea! Pinned!